Tame that wild beast to a sophisticated gentleman. It will lull the ladies into thinking your trust worthy! But we all know better you savage! We use a beautiful combination of Almond oil, Hemp seed oil, Grape seed oil, paired with our wonderful blends of essential oils. With this blend of oils it not only conditions the skin under those handsome hairs it also strengthens them. Lessening those unsightly broken crazy hairs! 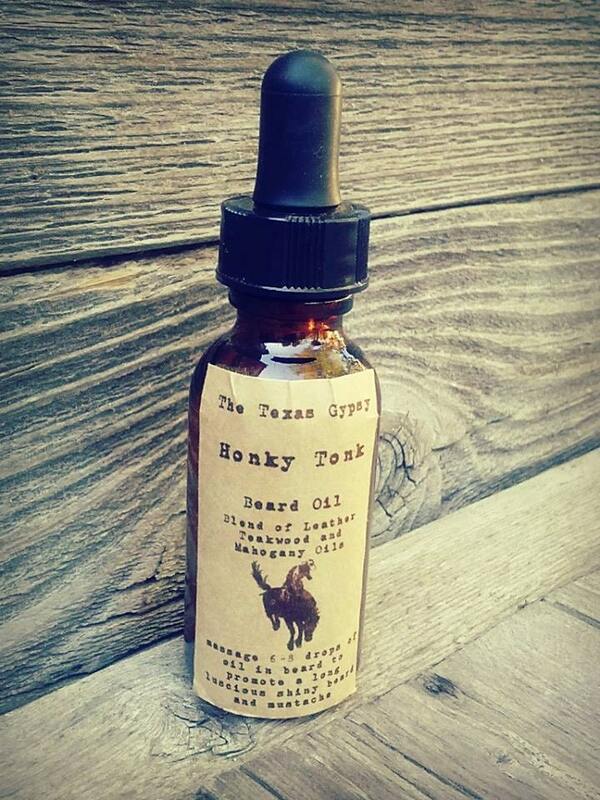 The Texas Gypsy Beard oil also had the added benefit of making your beard and or mustache look healthy and shiny, bringing out all the natural colors. And the smell ya’ll is enticing! You are going to have to beat them off with a stick cause everybody is going to want to be close just to smell your face!! !